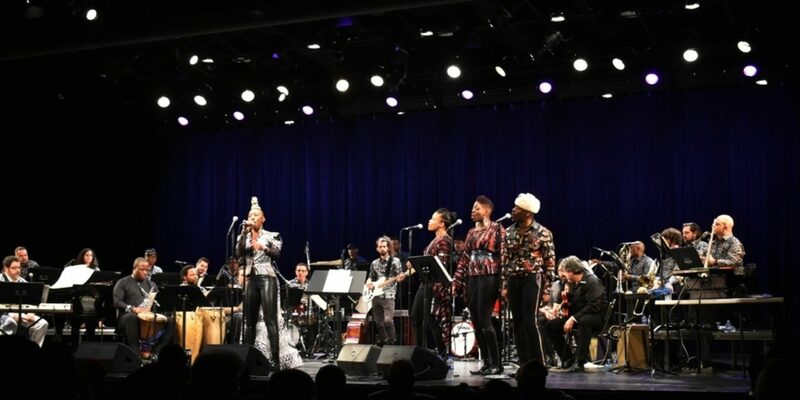 Arturo O’Farrill and the Afro-Latin Jazz Orchestra dared to cover the master, Fela Kuti, and a cadre of musicians who have fallen under Afrobeat’s spell, over a two-night stand Jan. 25-26 at Symphony Space in Upper Manhattan. The music adapted seamlessly to ALJO’s stage-spanning ensemble. It’s a tribute to both O’Farrill’s skills as an arranger and Fela’s skill as a composer that moving from a ALJO original, to Fela's repertoire, to tunes by the New York-based Afrobeat composer and percussionist Tosin Aribasala all felt very natural. All of these musicians cite Fela as an influence. Afrobeat is such a powerful and elastic genre that even arranged in a manner that its founder never approached—with a full on trombone section—it remains viscerally powerful. By the last song, “Zombie” naturally, the aisles filled with dancers. No one could help it.